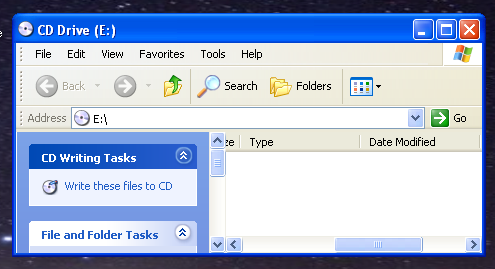 Open Windows Explorer, by clicking on the Yellow Folder on the QuickLaunch Bar. 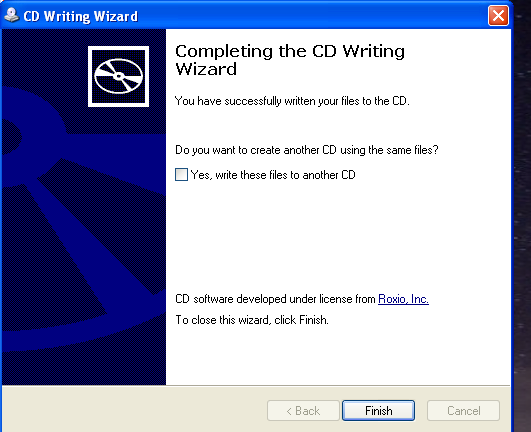 Then Insert a Blank CD into the CD Tray.� A new Window will open. 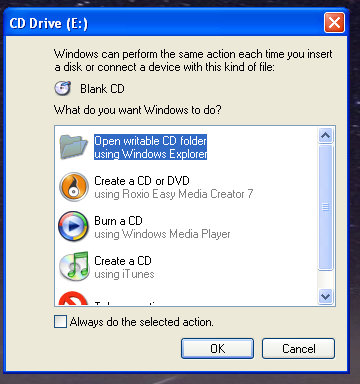 Then the following Window opens. 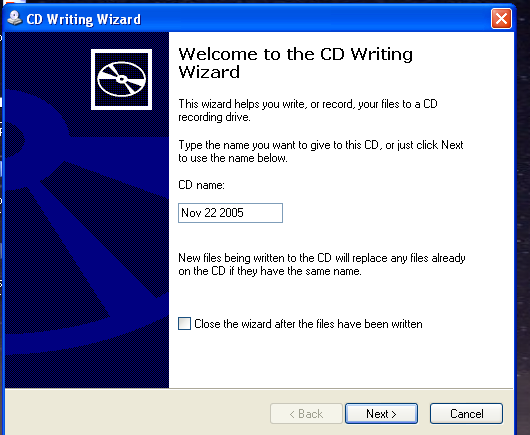 With both the Windows Explorer window and the �CD Drive (E:)� window visible, Click and Drag the files you wish to copy from Windows Explorer to the �CD Drive (E:)� window. 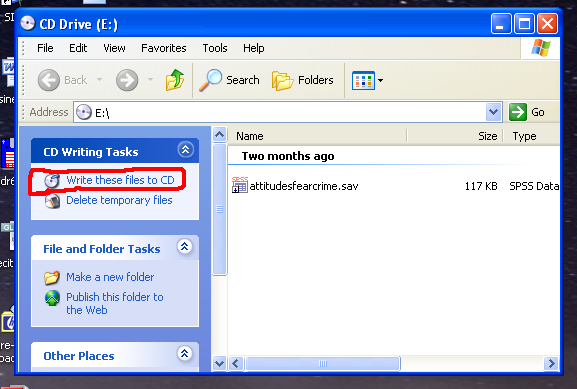 Once that is done, click on the command �Write these files to CD� on the left hand side of the �CD Drive (E:)� window, as below.